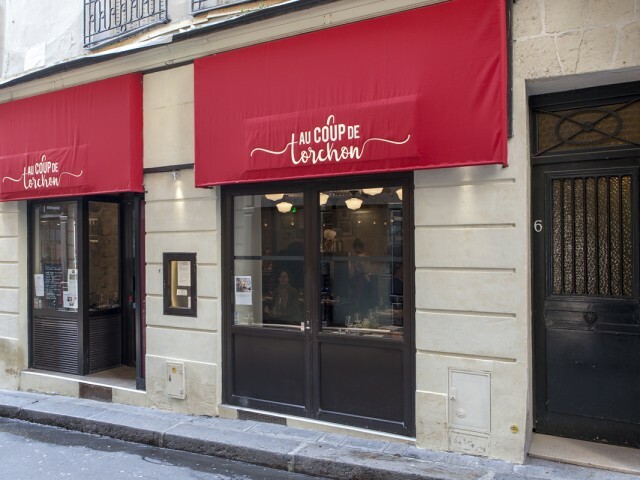 Au Coup de Torchon offers a french and homemade kitchen made from fresh and raw products. Our menu changes every day : for lunch and dinner time - vegetarians are welcome. The seasonal menu is composed by fresh vegetables from the market, cold and hot soups and delicious dishes. The homemade desserts and fruit salads are also prepared from seasonal products. At lunchtime, we offer a formula for 19,80 € (starter / dish or dish/dessert). You will also have a large choice à la carte : starters from 6 €, dishes from 17 € and desserts from 6 €. At dinner time, we offer delicious dishes and wines à la carte. See you soon at Au coup de Torchon !